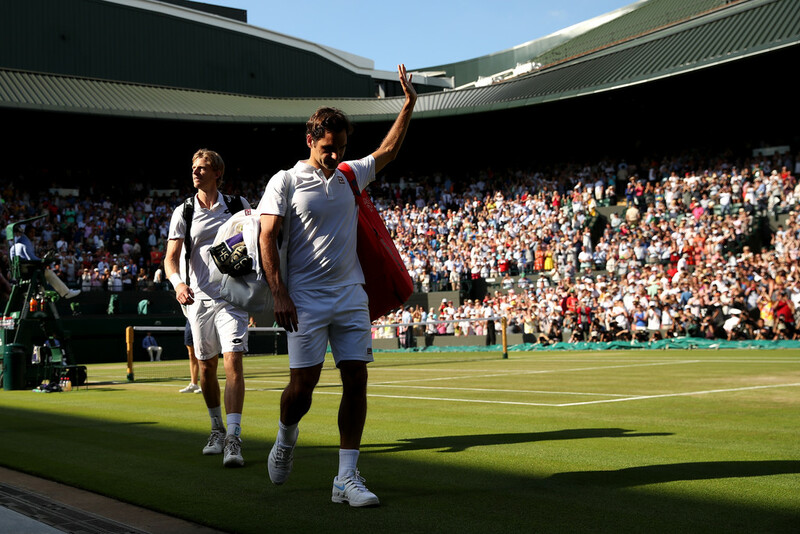 Kevin Anderson recovered from two sets down, and saved one match point, to stun eight-time champion Roger Federer 2-6, 6-7 (5), 7-5, 6-4, 13-11 at Wimbledon on Wednesday to claim one of the most important victories of his career. The eighth seed, competing in his first quarter-final at the All England Club, recovered from the brink of defeat after Federer held match point at 5-4 Ad Out in the third set. The defending champion was on the verge of clinching a record-breaking 35th consecutive set at SW19, but Anderson rallied with aggression to reach his second Grand Slam semi-final after 4 hours and 14 minutes. “The first set felt great,” said Federer. “I was reading the serve. He wasn't getting many aces. When I was on, I was making him play. From the baseline I felt like I could mix it up and play aggressive. There was a lot going on. “As the match went on, I couldn't surprise him any more. That's a bad feeling to have. It's not like it hasn't happened before. I've been in many, many matches like this. I couldn't come up with enough good stuff for him to miss more. I think that was the key at the end. 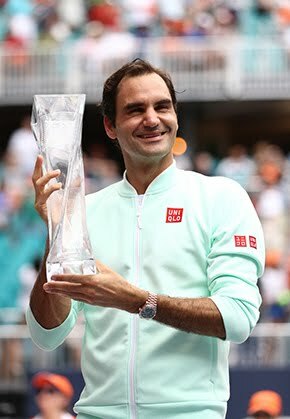 As was the case in his fourth-round triumph over Adrian Mannarino, Federer made a quick start. The defending champion varied his returns, blocking and attacking Anderson's serve with depth, to earn breaks in the first and seventh games. 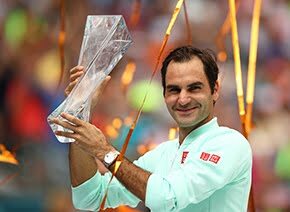 Having lost just one point on serve throughout his opening three service games, Federer then held serve to love, for the third time, to take a one-set lead. Federer's streak of 85 consecutive games won on serve ended abruptly early in the second set, as Anderson stepped in on his return. 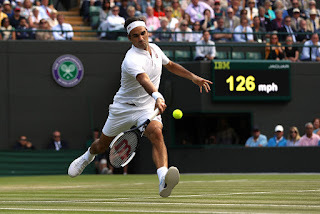 The South African mixed power and precision, especially on his forehand side, to extract errors from Federer, who was forced to retreat behind the baseline. 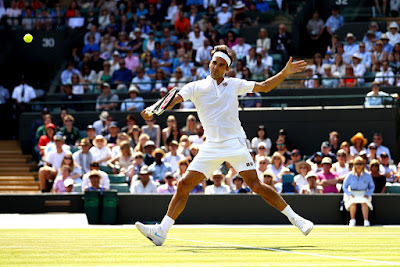 But Federer responded well, retrieving the service break in the fifth game before coming from a mini-break down in the tie-break to secure a two-set advantage. Federer's forehand dictated proceedings late in the tie-break, with powerful shots and uncharacteristic errors deciding points, before converting his third set point. Anderson capitalised on forehand errors to earn break point in the 11th game, which he converted with a confident backhand return up the line. The New York Open champion then dug himself out of a tricky situation, winning his fifth consecutive point from 0-40 down with an ace up the 'T' to force a fourth set. “I guess there was definitely a moment where I lost control of the match at some point,” said Federer. “Is it missing match points? Is it getting broken at 5-All after that? “I think I had my chances, so it's disappointing,” said Federer. “No doubt about it. He was consistent. He was solid. He got what he needed when he had to. Credit to him for hanging around really that long. Federer, who was bidding to reach his 13th Wimbledon semi-final, discussed how he struggled to find his best level after racing to a one-set lead in under half an hour.